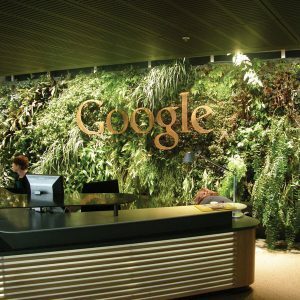 The aim of the Google greenwall was to turn an information desk into an oasis of green in the heart of an inner city office block. 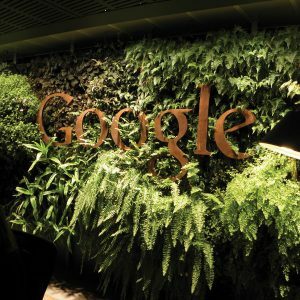 The main design elements incorporated in this design are the plants and the ‘Google’ lettering. The lush Architectural planting defines how form and texture can celebrate the sculptural shapes of the Google stamp. 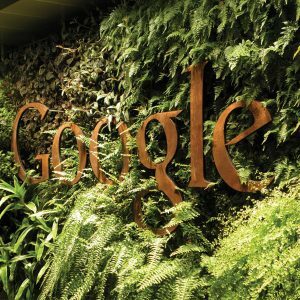 This greenwall transforms the dull practicality of spatial function into a Google interior landscape.